Pamper your skin with Eden Belle! This unique, milk-based skin maintenance system provides a natural approach to skin care to help reduce the appearance of wrinkles and fine lines and promote healthy skin. 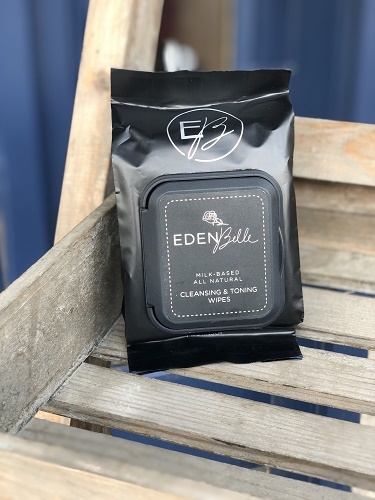 Together, the Eden Belle product line forms an excellent skin maintenance system that will gently and continually facilitate new skin cell generation, exfoliation, and moisture retention. Milk is a natural biologically functional system and it gives these skin care products many active compounds in a balanced form that cannot be combined in any other way. The Milk Hydrating Crème can moisturize even the driest skin, while at the same not over moisturizing other skin types. Milk Crème contains 16% natural milk components. With its combination of the alpha-hydroxy lactic acid and vitamins A and E, it gently penetrates the skin surface and helps exfoliate and release dead skin cells. This helps promote healthy skin cell turnover and reduce fine lines and wrinkles. It is non-comedogenic, absorbs quickly, is alcohol free and contains allantoin, jojoba oil, and rhodopsin oil, which are all natural and beneficial to the skin. Tryazon will select 100 hosts for this opportunity. Those chosen will receive a party pack with a variety of Eden Belle products to showcase and sample with friends and family! Learn more about the products and party by clicking the tabs below! Back in the 1980s, a plastic surgeon, from Arizona, discovered a milk-based skincare product while vacationing in Europe. He tried it and thought it would be great for the recovery of his patients He got permission to bring and use the formula here in the United States. Try as he might, the chemists that he hired could not make the milk-base without the milk spoiling! To get the milk serum perfected, he reached out to the milk chemists at Utah State University. These chemists were able to create the milk-based serum and it sold for quite a few years. But, unfortunately, the plastic surgeon died of a heart attack and the product was shelved. A few years back, because of a lower economy, the milk chemist was laid off his job in the cheese industry. Wondering what to do, he and his wife decided to resurrect the milk-based system. 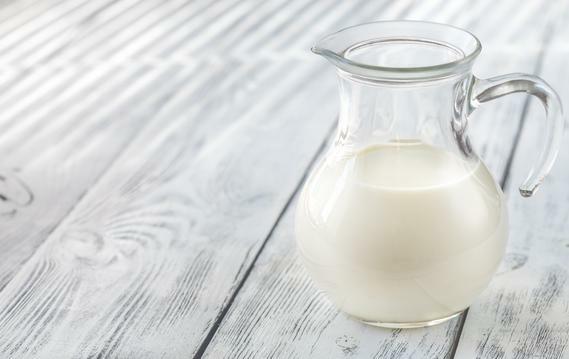 This milk-based product slowly made its way back into the skincare industry through plastic surgery companies and physical therapy companies. Realizing they were not marketers and struggling to reach out to the masses, they looked to other people to sell this skincare and thus Eden Belle was born. Eden Belle came about because Shanna was given a sample and it cleared up her skin and even helped to balance her skin! She couldn’t believe the difference it made. When she and her husband, Joshua, were told that they could market this milk-based product, they jumped at the chance. Eden Belle was created to not only help women feel better in their own skin, but to empower women to share what they love through our Ambassador program. The name Eden Belle was chosen because Eden (Joshua and Shanna’s daughter) represents that there are many beauties in the world just like the many flowers in the garden of Eden and Belle because it means beauty but also because Belle is Shanna’s favorite princess! Eden Belle is the idea of bringing beauty to back the natural state, back to Eden. 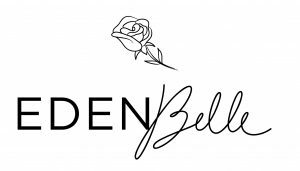 Learn more about the Eden Belle beauty line HERE . Here are some tips and tricks from Eden Belle. This is a milk-cream based product so unlike alkaline based soaps and detergents, this DOES NOT foam or bubble. As a result, this product will not dry or irritate your skin like other cleansers. On the other hand, it will clean and repair your skin. For best results, follow the cleansing process with our Milk Toner and Milk Crème resulting in more evenly toned and moisturized skin. For best results, first, cleanse with Milk Cleanser and follow with Milk Crème. Our Milk toner can also be used on problem areas, minor rashes, and to reduce pain and/or mild skin irritations. Can also be used to help soothe bruises or sunburned skin. For healthy, radiant skin: cleanse with our Milk Cleanser and prep your skin for hydration with the Milk Toner. Can also be used to heel dry skin conditions (not limited to the face), sunburn or sun damaged skin, scar tissue and stretch marks. Quick, easy and compact for travel, work or home. Recommended use: for use in the morning or evening or any time you want to remove makeup, and/or cleanse your face. Lift the plastic lid, open the resealable label, pull out a cloth and apply it to your face, eyes, lips and neck. No need to rinse. Dispose of wipe. Close the label and lid immediately after each use to prevent wipes from drying out. Caution: For external use only. "Be Courageous. You’re Beautiful, Delicate, Strong, Smart, Creative, Stunning. You are You. And YOU is Enough."